Houston • On Sunday night, the Jazz were blown out in Game 1 of their first-round playoff series against the Rockets, ultimately falling by 32 points. And yet, on Monday afternoon, no one was waving a white flag. The Jazz know they didn’t play well. And they know the Rockets did. And they know a lot of things will have to be improved for the series’ second game on Wednesday — which they were confident would prove to be the case. While much was made of Utah’s failed attempts to contain James Harden, it was actually the team’s issues on the other end of the court that may have been more problematic. Joe Ingles struggled to beat defenders off the dribble, which negated pick-and-roll opportunities. Jae Crowder couldn’t get his shot working from long range, making only 1 of 7 from deep. 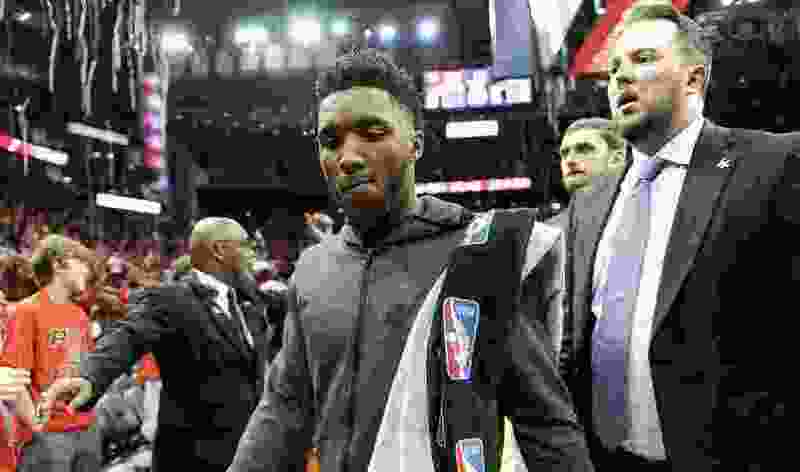 Donovan Mitchell had trouble with the Rockets’ aggressive, in-your-face physicality. And so, the Jazz shot just 39% from the field; they were 7 of 27 (25.9%) from 3-point range; they committed 19 turnovers that led to 24 Houston points; they amassed only 17 assists. Jazz big man Derrick Favors said it wasn’t a matter of the Rockets surprising them with anything unusual, but rather Utah’s players not responding well to what they knew was coming. Can the Jazz tighten up their defense on James Harden and the Rockets in time for Game 2? But Favors countered that, after going through a film session earlier in the day, it was apparent that the Jazz had many opportunities they simply didn’t convert. He vowed there would be adjustments coming in Game 2. Sefolosha, meanwhile, sought to reassure Jazz fans perhaps concerned that their team is simply outgunned in this series.